One of the things I love most about summer is the availability of fresh, seasonal greens and other vegetables. 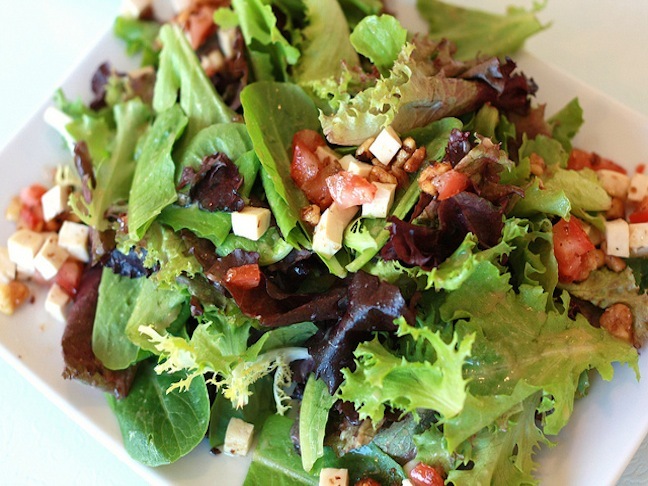 Salads can be delicious and filling, chock-full of nutrients and without the extra calories. We have to be careful to add only foods that are healthy and low-calorie or the salad could end up containing more calories then we bargained for. Here’s a simple salad recipe that’s a hit at any barbeque and worth the small amount of effort. In a mixing bowl whisk together the dressing ingredients. Lightly drizzle dressing over ingredients while tossing at the same time. Continue adding dressing until ingredients are lightly coated.